The funeral of any head of state is a lavish affair. Depending on the country, the pageantry and ceremony can be steeped in traditions centuries old. The cremation last month of Thailand’s King Bhumibol Adulyadej gave Thai observers, history buffs, and monarchists the world over a rare glimpse at the ceremony and traditions of ancient Siam. The five days of the royal cremation ceremony involved thousands of troops, large and small processions as the body — and later the ashes — were moved in accordance with tradition before being interned at two Bangkok Buddhist temples. For those watching the live television feed, or even from the roadside where the processions took place, the enormity of the spectacle they were witnessing would have been difficult to fully comprehend. In just twelve months a muddy field in the heart of old Bangkok was transformed into an earthly representation of the mythical Mount Meru, the heavenly centre of the universe in both Buddhist and Hindu mythology. Measuring 60 sq.meters (646 sq.ft) at the base and towering 50 meters (164 ft) tall, the imposing crematorium tower utilised a steel frame to allow for easy dismantling after the ceremony, presenting architects, designers, and engineers with a unique challenge. Officially the budget for constructing King Bhumibol Adulyadej’s crematorium was set at Bt3 billion (about US$90 million), but this figure does not account for donations of labour and materials by a host of foundations, corporations, and individuals. Additionally, more than 5,600 Thai soldiers, sailors, and airmen needed to be trained how to march the difficult-to-master Thai military slow march perfectly, for a Great Victory Parade that would take more than four hours to cover its 890 metre (0.55 mile) length and involve more than 2,400 troops. In keeping with ancient traditions, the royal cremation ceremony of King Bhumibol Adulyadej required 89 dancers skilled in the traditional Thai Khon dance technique, traditionally only performed for royalty, learning to dance together and in unison. While much has been written about the royal cremation of King Bhumibol Adulyadej, the vast majority of it has been written in Thai language and subsequently remains unseen by international audiences. 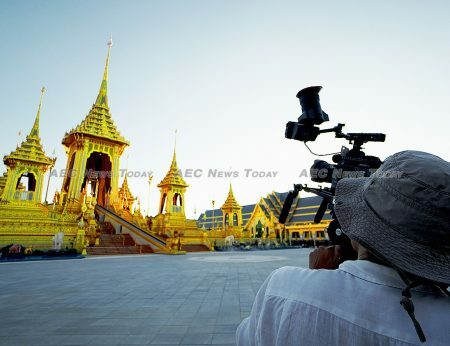 While Thai media were given almost unlimited to access to those involved in the preparations, requests by foreign media (including AEC News Today) went largely unanswered, or not acted on. More persistent was Channel NewsAsia who doggedly pursued obtaining the vast number of approvals from people and organisations involved in the royal cremation ceremony of King Bhumibol Adulyadej. Despite various milestone moments taking place without much or any warning and the strict restriction of movement on the actual cremation day, the result is a unique, behind-the scenes glimpse at the motivation, determination, and, after having conquered all of the challenges and delivered their best, the exuberance of some of the key people involved in making the royal cremation ceremony one that was fit for a King of Kings. Commencing about six months prior to the royal cremation ceremony, For the King follows the personal challenges, doubts, and sacrifices of key players, whose identity and roles in ensuring the royal cremation of King Bhumibol Adulyadej was as perfect as humanly possible was achieved. Jeadsada Chevavichavankul, head engineer for the royal crematorium’s construction. Sculptor Ati Kongsuk, tasked with sculpting a 2.5 metre (about 8.2ft) tall statue of the god Indra. 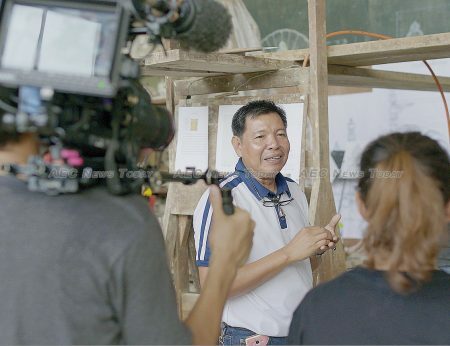 Pichit Nim-Ngam, the senior artisan with the Department of Fine Arts. Yunee Teranun, a senior restorer rehabilitating the royal chariots. Phramaha Rajaguru Bidhi Sri Visudhigun, head Brahman monk. Woradet Jutakanon, 21-years-old and one of the 216 soldiers selected from thousands of volunteers to pull the almost 14 ton Great Victory Royal Chariot (Phra Maha Phichai Ratcharot) carrying the body of King Bhumibol Adulyadej. 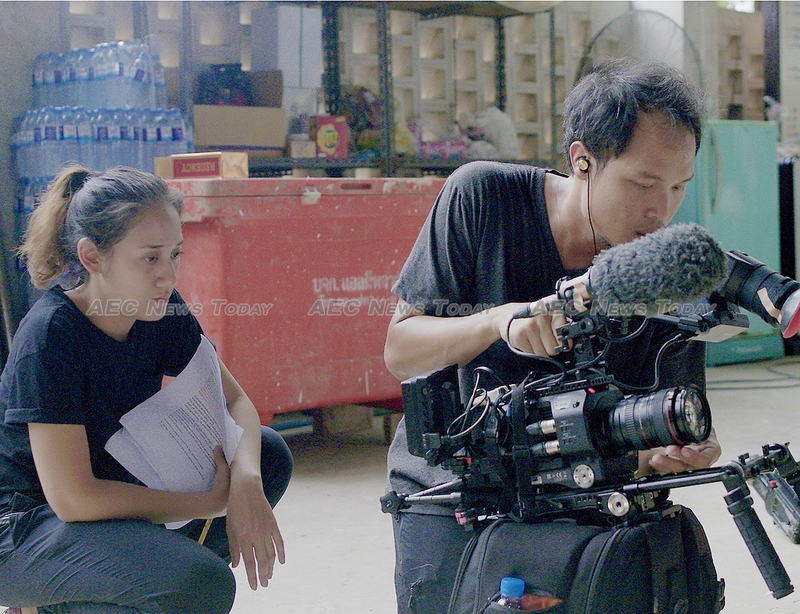 Premiering on Channel NewsAsia on Sunday, November 19, at 8.00pm (SIN/KL/MNL) / 7.00pm (BKK/JKT) / 5.30pm (DEL), For the King is compelling viewing of some of the work that went in to organising the historically rich royal cremation ceremony of King Bhumibol Adulyadej. Produced as a DIGITAL FIRST programme, the documentary documentary can also be viewed online now at For The King.